If you are trying to switch your look then wide-legged trousers are the way to go. These bottoms are both comfortable and stylish. 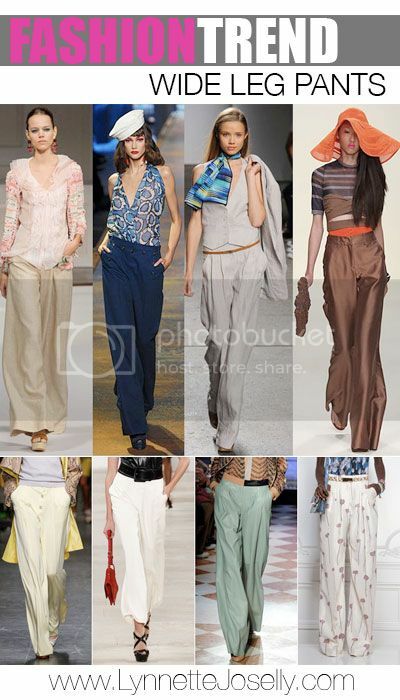 The wide leg pants trend came right off the runway, so don't be afraid to add high end fashion into your wardrobe. While some of you may be thinking these pants are just for the tall and skinny ladies only, boy are you wrong. This is your chance to elongate your frame and pull off the long and lean silhouette you want. These high-waist trousers are best styled with crop tops to show off a bit of the midriff. The pants are available in solid, patterned, pleated and much more, but this season winter white will definitely be trending! I would love to see how you ladies rock these pants!